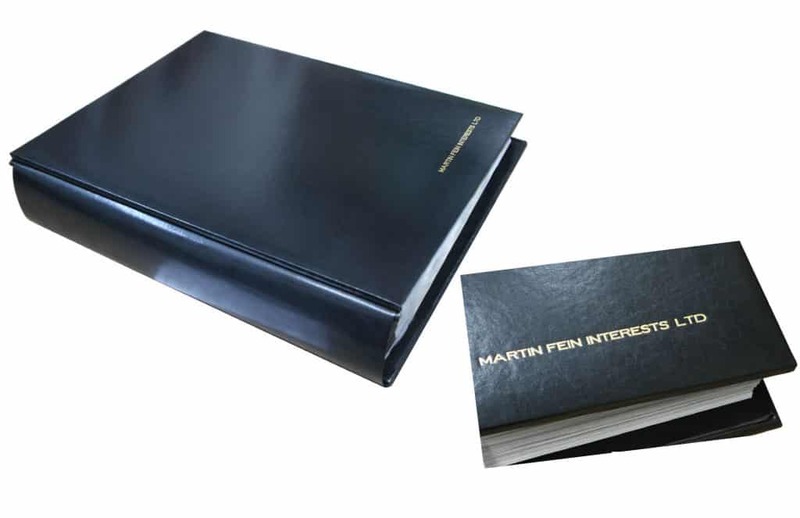 Executive commemorative books contain career highlights, achievements and photographs that document and detail an executive's value to a company. 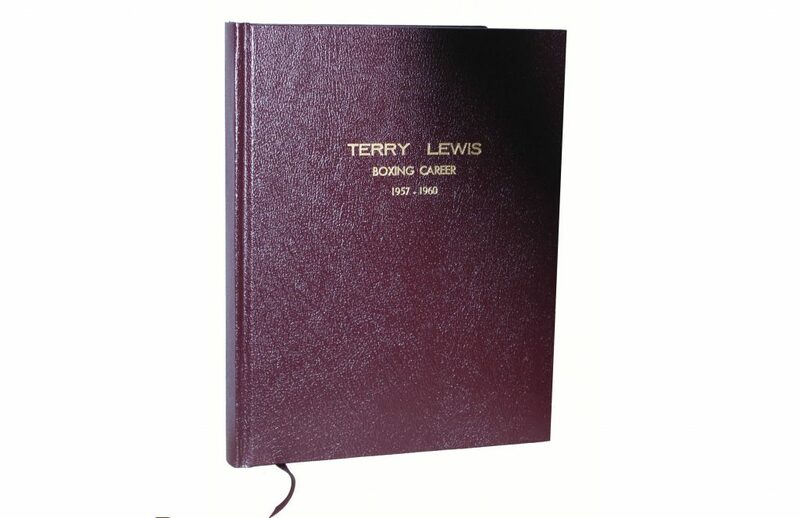 A one of a kind and memorable commemorative book that any company executive will appreciate. 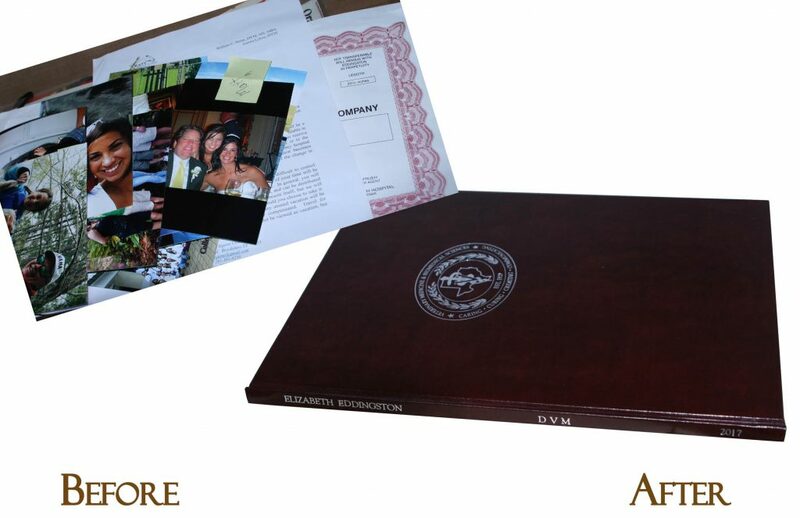 We can personalize any executive commemorative book with custom hot foil stamping. Consultation: Ready to print and bind? Some clients have their content and art ready to go. If not, we can help get a project going. We are here to help. 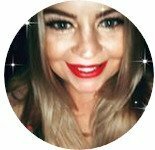 Assistance with a project. We organize documents, create layouts and perform graphic design. We suggest personal storylines from co-workers. Services are available at reasonable prices. Personalize an exterior cover. Foil stamp text, names, logos or corporate images. Make the book meaningful to the person being honored. 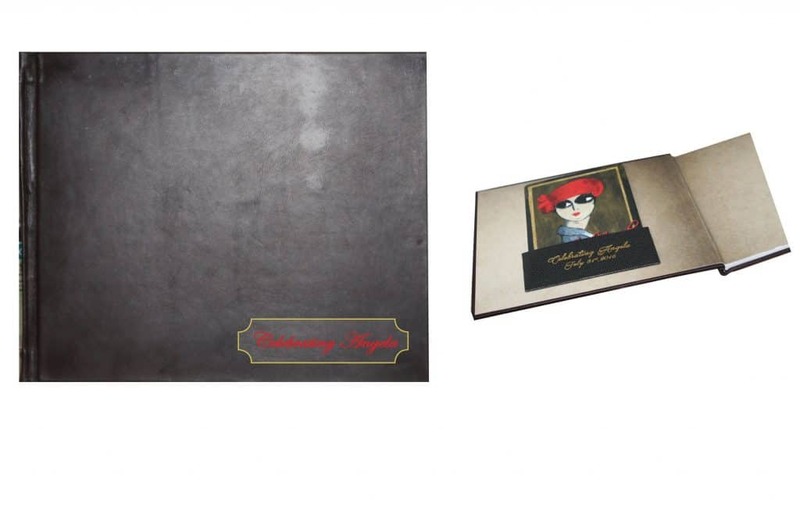 See our Hot Foil Stamping page to see the options to personalize. 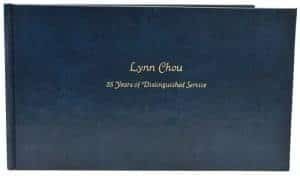 Our commemorative books feel great in your hands and with a personal touch, will give you a tangible reminder of memorable moments or celebrations. 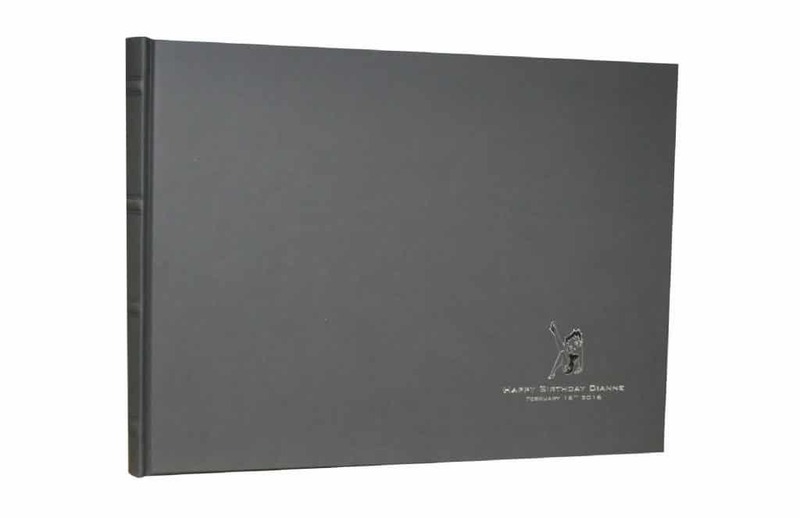 Many events or celebrations require multiple copies of the finalized Commemorative Book. No problem. 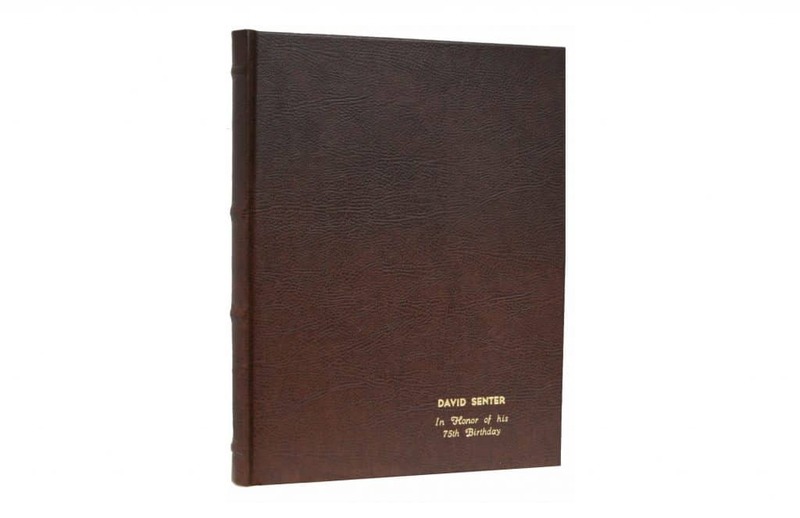 As a full service bookbindery, our leather commemorative books can be fully customized and we print, bind and reproduce numerous volumes for distribution. 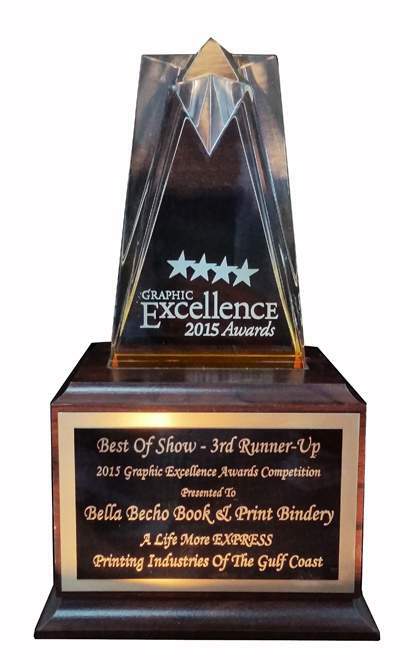 Bella Becho is an award winning bindery for quality finishing work in commemorative books. In 2015, we received 3rd Runner Up Best of Show and won Best of the Digital Division at the Printing Industries of the Gulf Coast, Inc. 2015 Graphic Excellence Awards banquet. The entry "A Life More Express" celebrates the life and history of former CEO Michael Weiss with Express, Inc..
Showcase a successful corporate event or achievement. Elevate the corporate brand with logos and other company brand images. 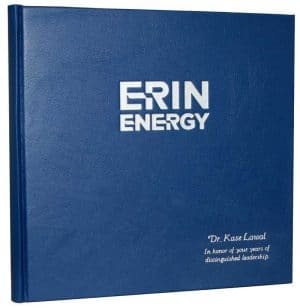 Custom books include corporate logos. 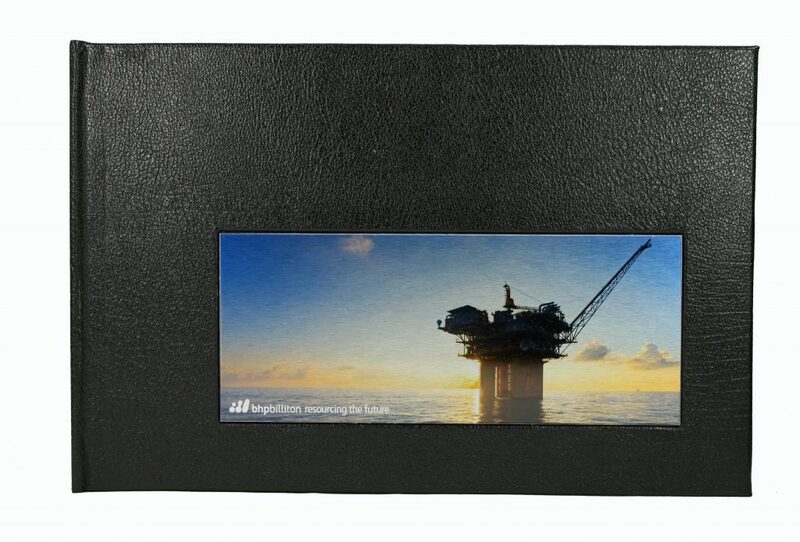 This book for BHP billiton titled "Resourcing the future", has a custom recessed cover for a company brand image. 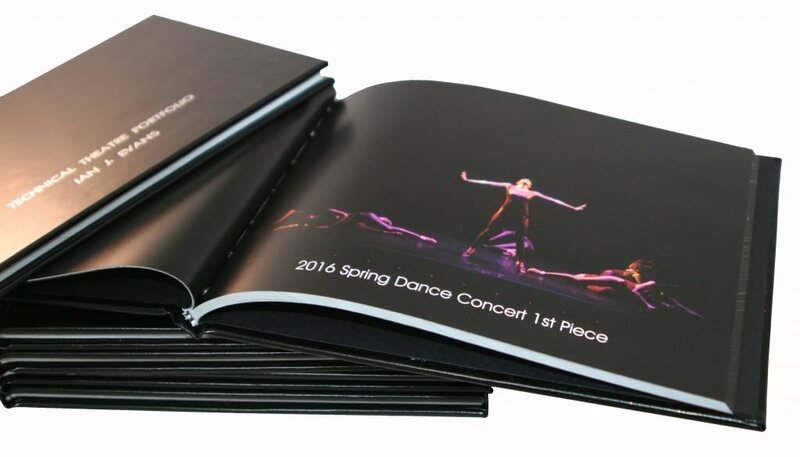 Highlight a high school student's theatrical achievements in a portfolio style commemorative book. 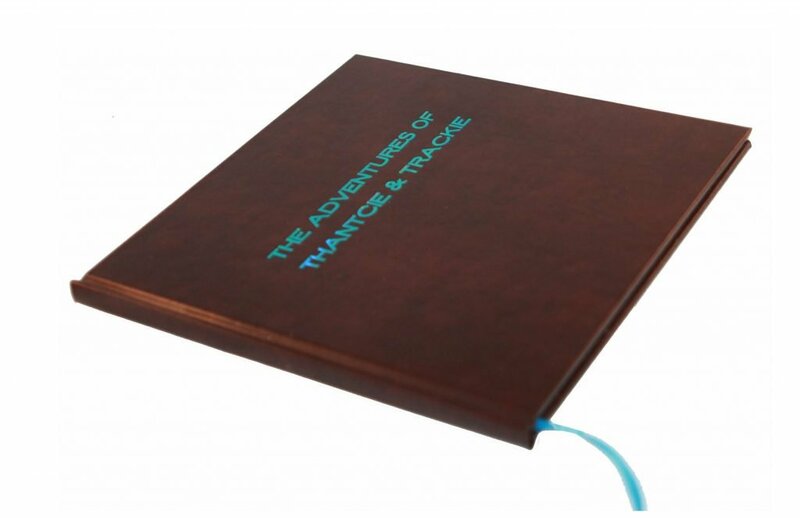 This portfolio styled book was submitted to universities as part of an application process. We like to think this compilation was a factor for our client being accepted to his college choice! 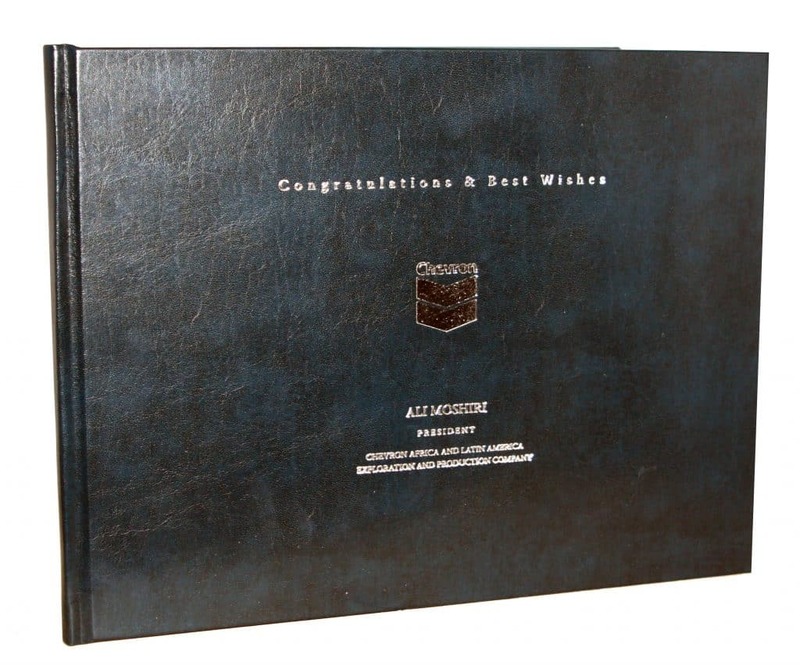 A vet school graduation commemorative book binds loose photos to document a successful journey. A great gift! Celebrate a boxer's career, chronicle a special vacation in Egypt, or remember how Hurricane Harvey impacted Houston. 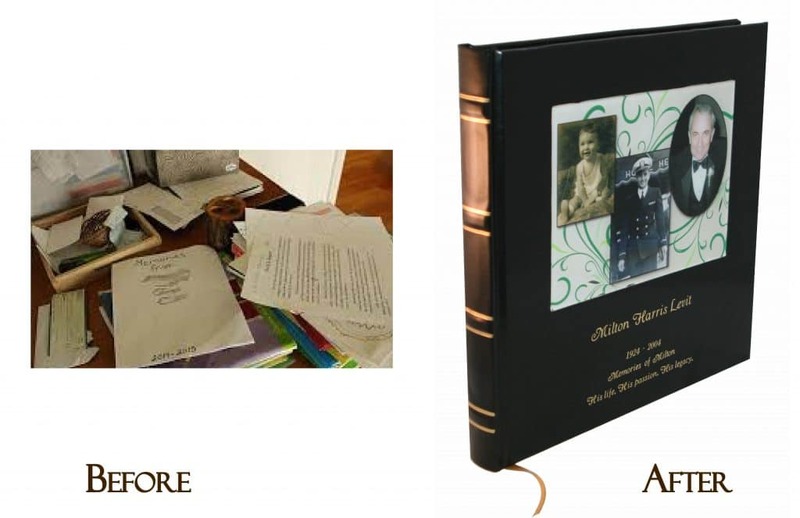 We are your source for custom commemorative books. Our commemorative books are crafted with your input on the interior and exterior so readers experience the style you wish to convey. Looking for a meaningful gift for a relative or friend? 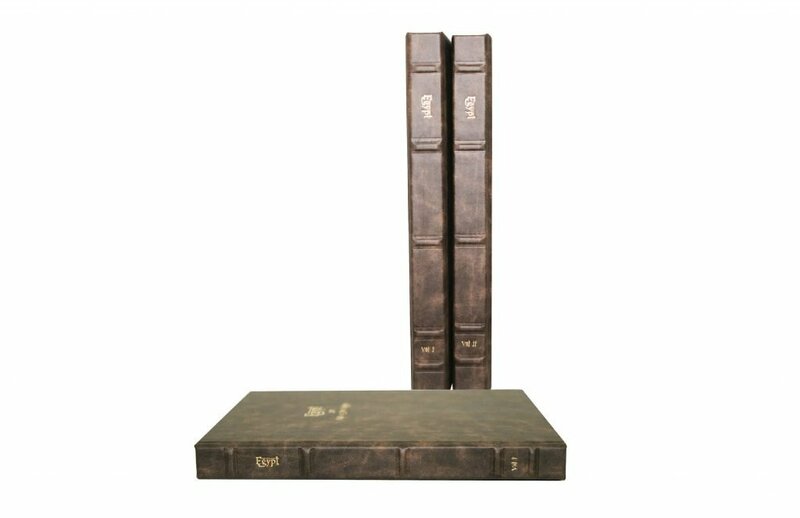 Our commemorative books are great gifts for any occasion. 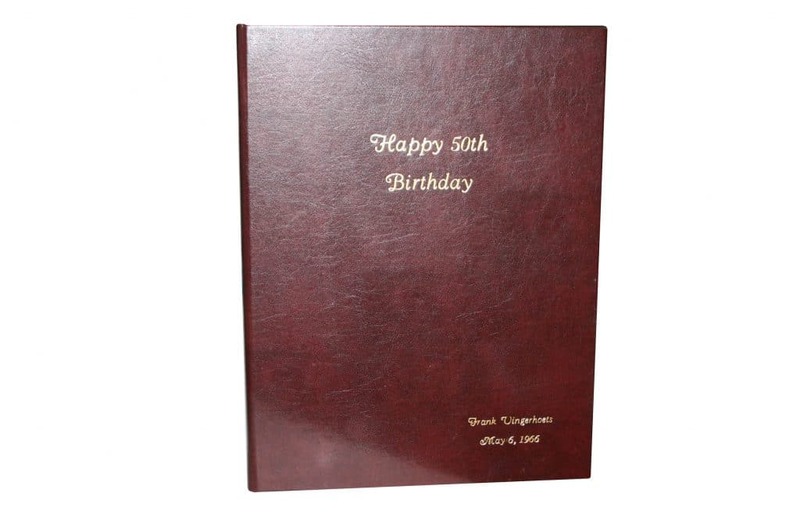 Come see us for Birthday and Anniversary commemorative books. 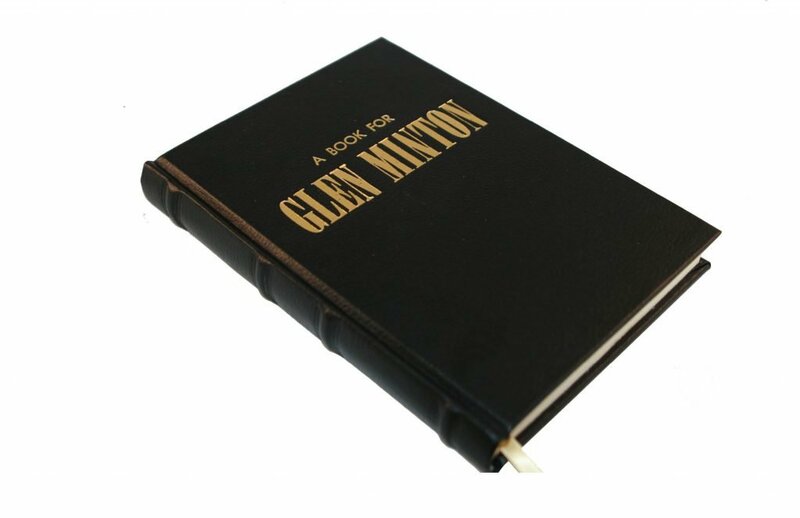 We have some ideas to help you customize the book. 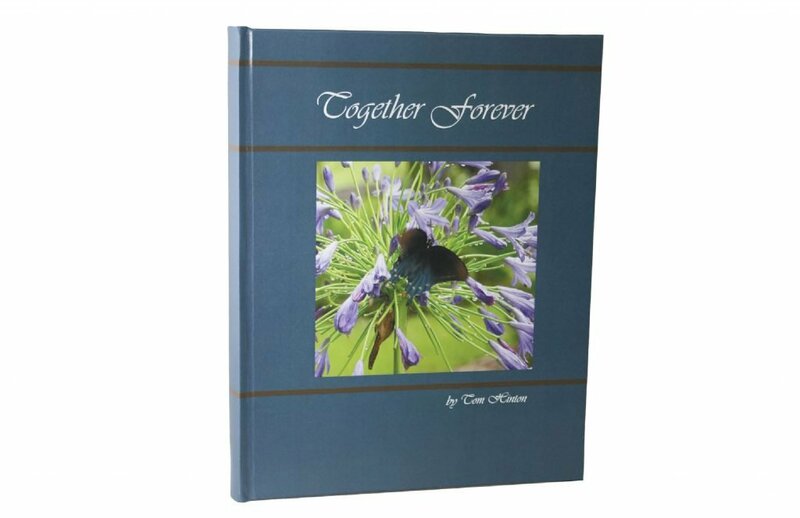 Publish commemorative books to celebrate the life of friends family and loved ones. We can get you started in the right direction with an office consultation and assist with the details. Let us know if you need assistance to organize clippings, articles, photos and other documents. 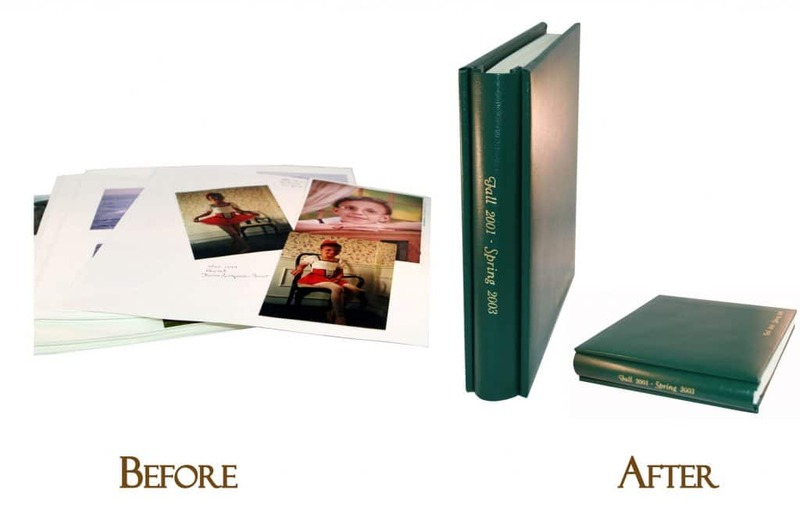 We have graphic design capabilities so we can add just about any type of art or design to any commemorative book. 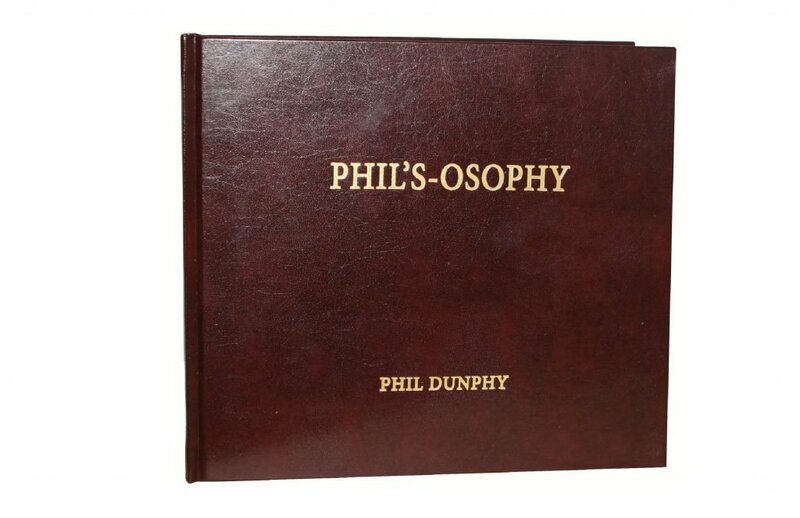 See Memorial and Tribute Books. With a little creativity and planning, we stylishly preserve memories from unique events. This example celebrates a baby shower. We can make memorable party invitations and custom party writing pages using graphic design. Party guests write well wishes, stories and memories on the custom party writing pages. After the party, we bind these pages into a beautiful commemorative book. 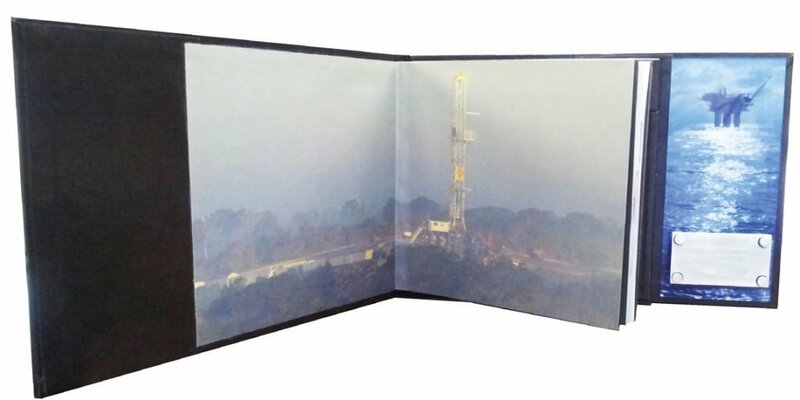 Our bookbinders make custom pockets inside books. Here, the pocket holds the invitation as a party keepsake. 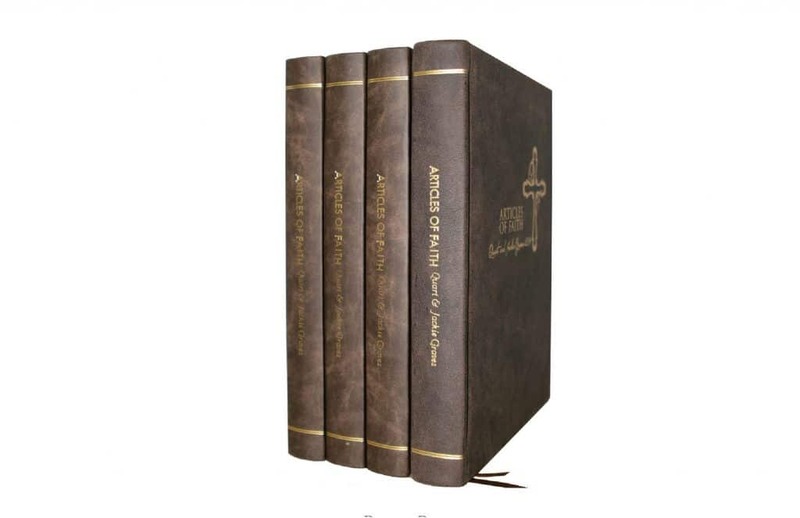 Makes an excellent coffee table book or gift. 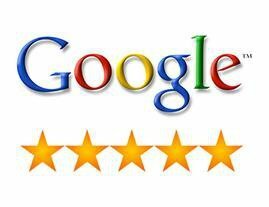 "Our Executives were very happy with the final product. No doubt, I will be giving you a call with future needs.